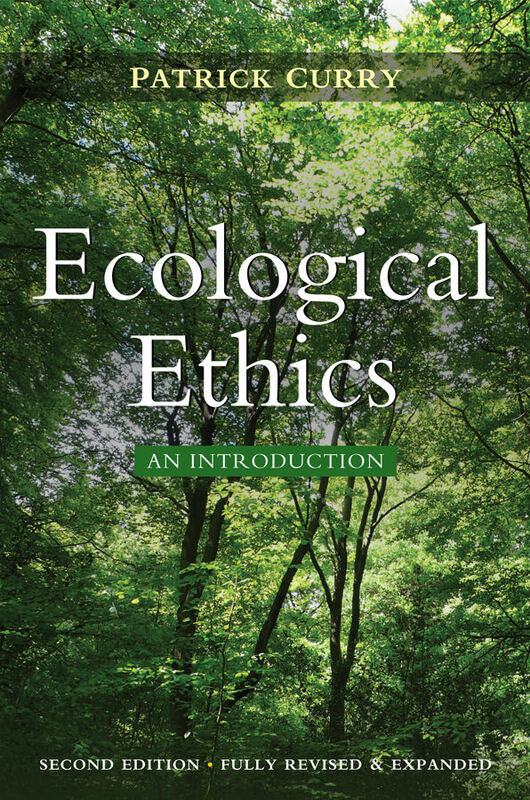 Ecological Ethics takes issue with the common assumption that existing human ethics can be "extended" to meet the demands of the ongoing ecological crisis. The book ultimately argues a new and truly ecological ethic is both possible and urgently needed. James Connelly reviews the book and finds that he has seldom read better. We stand in the midst of several overlapping ecological crises; we also stand in the midst of several overlapping economic and political crises. The resolve to address the first is likely to be a casualty of the supposed imperatives of addressing the second. This can be seen in the low turnout and public enthusiasm at Rio + 20, which many political leaders did not attend, and can been seen in any speech by a politician or economist extolling the virtues of economic growth, presupposing that it is the universal answer to our problems. The problem is that this shows a complete ignorance of what our problems really are. We could, of course, simply forget the environment in the search for economic growth. Or postpone it until we have sorted out our economies. This is the generally preferred option in which we pay lip service and more or less honestly swear that we will get round to it tomorrow. But this particular tomorrow never comes. The issue goes far beyond the question of whether we direct our policy focus on the problem, because in order to do that we need to know what the problem is and why it is a problem. We also need to decide what our ethical commitments are. This sounds easy, but it is not. If we put humans first, for example, why should we and what does it mean? It certainly leads to the view that if we destroy the natural world we might destroy ourselves, and therefore we should not destroy the natural world. Such bare faced anthropocentrism (sometimes lightly disguised as enlightened self-interest) is not enlightened, and mistakes self-interest for ethics. Further, such narrow anthropocentrism falls way short of what is required and protects only those parts of nature which are required as immediate resources. Sometimes people argue that the anthropocentric view is clearly appropriate because humans are the superior species in all the ways that matter, especially brain power. It is of course true that human beings have developed systems of ethics and advanced forms of reasoning. It is also true that we are the species who spell out value and communicate what we value to other members of our species. Some suggest that this both makes us unique and also that we cant help but put our own interests first, simply because we are the valuers and all our values will necessarily reflect human interests. This is glaring non sequitur because it is possible to recognise value in an object without the value of that object being solely its value for the valuer. For ecological ethics, as Patrick Curry describes it, it is essential that the values we recognise are not simply those which reflect human interests. Nature has to be recognised as possessing value in itself. This does not, of course, mean denying a value to human beings either. One does not have to lurch into misanthropy in a hurry to escape the perils of anthropocentricism. But a move from anthropocentrism to ecocentrism is vital to ecological ethics. There are many varieties of ethics which in some way or another maintain a little space for the environment: but for Curry, if we are to be truly serious about the planet we have to consider the planet, not just the human beings on its surface. It is vital to move beyond what might be termed anthropocentric outreach. This can be as benevolent as you like but ultimately it is inadequate as an ecological ethic because it doesnt address the fundamental issues. These issues are not just (although they include) the limits to unbridled economics growth; they are not just (although they include) the harm that nature can do to us when we harm nature (by poisoning nature we frequently poison ourselves); they are not just (although they include) a respect for nature, or an appreciation of nature. The crucial thing is to turn the reasoning around so that we learn to reason from an ecocentric point of view. It is not that the weaker approaches falling short of ecocentrism have no value they do; rather, the point is that they start from the wrong end and render environmental protection contingent upon human concerns and otherwise beyond our care or concern. The current government is the self proclaimed greenest government ever. Even were that to be true (it palpably is not) it would not be enough, for greenness is a matter of scale or degree and one can be very green (even the greenest ever) without being green enough. And current circumstances illustrate with startling clarity the real priorities economic growth and development which animate this and other governments. Within such a framework our environmental credentials are dubious at best because they are always secondary. In promoting an ecological ethic, Curry does not shy from pointing out some of the consequences of his view nor from discussing what is required to encourage people to develop environmental virtues and commit to becoming environmental citizens. This book is a deeply engaging one. It is written in a lively and sprightly fashion and although it does not go into philosophical depth on each and every issue it raises (and does not pretend to) it is a beautifully written account which is immensely satisfying and informative to read. I have seldom read better. Some how it draws one in like a good novel. Perhaps there are echoes of Dante as we are led by our guide into the different circles of environmental ethical reasoning. Although the book is radical in intent and adoption of its proposals would require immense political, ethical and economic change, it remains both optimistic and realistic. Curry falls neither into despair or premature optimism. The road to hell is lined with good intentions is not his motto, neither is abandon hope all ye who enter here. Good intentions are not enough and neither is hope, but without either the attempt to develop an ecological ethic and draw out its practical consequences would be futile and pointless. I recommend this book wholeheartedly. It deserves to be read it needs to be read by citizens, politicians, philosophers, economists and political scientists.